Yingbin Fu, a Moran researcher and assistant professor of Ophthalmology and Visual Science at the University of Utah, is one of 10 winners of the Audacious Goals Challenge, a nationwide competition for compelling ideas to advance vision and science. Dr. Fu’s “audacious” goal – Precise Gene Editing In Vivo – aims to permanently correct disease-associated mutations in a patient through the use of molecules specially designed to target mutated DNA sequences that can be delivered safely and efficiently into the eye, which would lead to an enormous step in the prevention and cure of human ocular diseases. Dr. Fu’s vision is to correct these “bad guys” using highly efficient and safe molecular scissors to prevent disease development. Of course, it can also be used to treat disease in the early and intermediate stages. Beyond eye disease, this strategy could also be applied to the genetic component of virtually any human disease, whether inherited or resulting from cellular responses to environmental stresses. The NEI Challenge to Identify Audacious Goals in Vision Research and Blindness Rehabilitation is part of a government-wide effort to bring the best ideas and top talent to bear on our nation’s most pressing challenges. Entries were reviewed by experts on the basis of relevance to the NEI mission and whether the idea is bold, daring, unconventional, or exceptionally innovative; broad in scope; and potentially attainable in about 10 years. The challenge sought ideas that support the NEI mission to conduct and support research and other programs aimed at reducing the burden of vision disorders and disease worldwide. Prize competition entries were solicited not only from experts in vision research but from anyone in the private, government, and nonprofit sectors, including scientists, engineers, health care providers, inventors, and entrepreneurs, as well as the general public. In addition to Dr. Fu, winners include Dennis Clegg from the University of California, Santa Barbara; Robert Duvoisin from Oregon Health and Science University; Steven Pittler from the University of Alabama: Rajesh Rao from the Washington University School of Medicine and The Retina Institute in St. Louis, Missouri; Tonia Rex from Vanderbilt University; Julia Richards from the University of Michigan; Jeffery Stern from Capital Region Retina, PLLC, in Albany, New York; Russell Van Gelder from University of Washington; and Janey Wiggs from Massachusetts Eye and Ear Infirmary at Harvard Medical School. 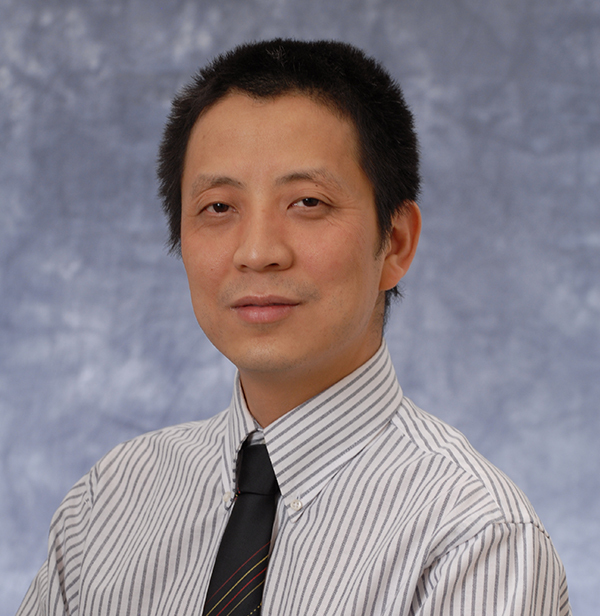 Dr. Fu will present his ideas at the NEI Audacious Goals Development Meeting, which will include about 200 vision researchers, patient advocates, ophthalmologists and optometrists from the U.S. and abroad. His ideas will be discussed intensively among other winners’ for further expansion, development, and refinement. Following the meeting, NEI staff and members of the National Advisory Eye Council will finalize and publish a set of the most compelling audacious goals for the institute and the broader vision research community to pursue over the next decade.